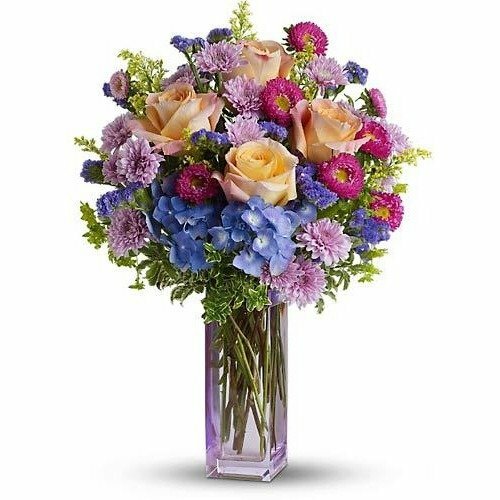 Bouquet is approximately 16" W x 22 1/2"
* I like the speedy delivery and the choices are appropriate for a variety of occasions. * The flowers were delivered professionally and on time. We had a problem with availability of the recipient, however customer service contacted me and we solved that issue. Staff not only complied with my request, but also gave an advice how to make it better. I really happy that I've chosen '1st in flowers'.